The Spotify music service was founded in 2006 by Martin Lorentzon and Daniel Ek. Spotify AB which operates in Stockholm, Sweden was first launched in 2008 but has now grown to be a much larger online streaming music service with its headquarters situated in London and sales offices throughout the world. Andorra, Australia, Austria, Belgium, Denmark, Faroe Islands, Finland, France, Germany, Republic of Ireland, Liechtenstein, Luxembourg, Monaco, Netherlands, New Zealand, Norway, Spain, Sweden, Switzerland, United Kingdom, and the United States. Like other competing music services, Spotify has a large music library to tap into. However, before using the service you'll want to know more about its options. Choosing the right level of service that suits your needs is probably the most important factor in deciding whether to use any music service. With this in mind, and to get an idea of what Spotify offers, read through this section. You'll see the various service levels on offer -- from free to a premium paid-for option. Spotify Free: If you are a light user who doesn't listen to a lot of music every month, then Spotify Free might be sufficient for your needs. As you would expect, to get music for free there are some limitations in using this level. The main one being advertisements that come with the songs you play — these can either be visual or audio. That said, if you don't mind these short interruptions, you can access millions of full-length songs for free. As well as streaming songs Spotify Free also allows you to organize and play your existing music collection on your computer using its desktop application. There's also good support for social networking services if you want to share music with your friends. Depending on where you live in the world, there might be a limit on how much you can stream every month. It's currently unlimited in the United States, but for elsewhere it's 10 hours per month. Additionally, if you live in the UK or France there's also a maximum number of times you can play back the same track — this is set to 5. For the light user, Spotify Free is a great option, but if you want more than this, then paying a subscription will get you a whole lot more without any limitations (see below). Spotify Unlimited: This is Spotify's basic subscription level that gives you an unlimited amount of music streaming without any advertisements. This is an ideal option if you want to stream music to your desktop or laptop computer, but don't need any mobile access. If you are traveling overseas and want to access Spotify, then this option doesn't have any limits either (unlike Spotify Free). Spotify Premium: This level is the top subscription tier and is design for maximum flexibility. If you want mobile music via your portable device, then you'll need to subscribe to Spotify Premium to stream songs. 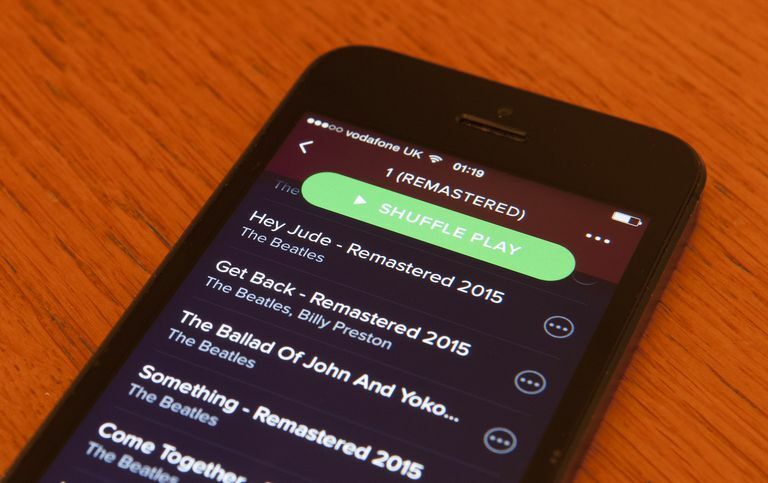 To listen while not connected to the Internet, Spotify also provides an Offline Mode so you can cache songs locally to your device or computer. The quality of the audio is also higher with enhanced bit rates of up to 320 Kbps. Spotify Premium also caters for popular home stereo systems like Squeezebox, Sonos, and others. Subscribing to Spotify's top subscription tier also gets you exclusive content that's not available to Spotify Free and Unlimited users.